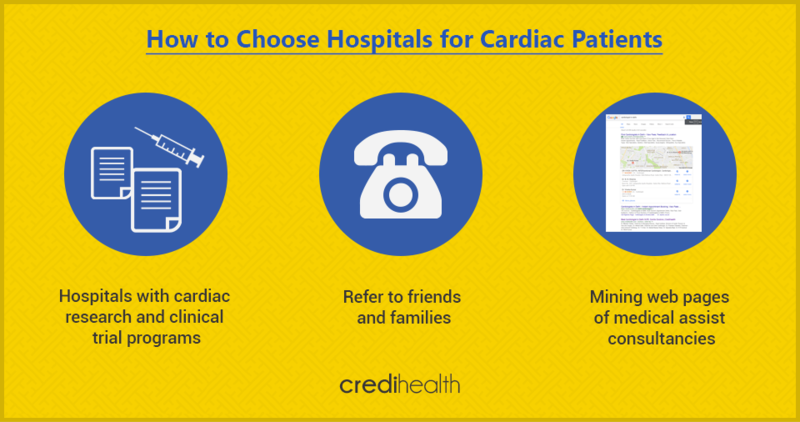 Blog » Health Blog » How to Choose Hospitals for Cardiac Patients? When it comes to deciding on a cardiologist or heart hospital for treatment, people depend on advises given by friends and relatives. Sometimes, the patients also rely on their family doctors to recommend them to a particular hospital. A hospital’s reputation in the community is an important indicator of its quality. It goes a long way in finalizing any decision. In case of an emergency, a person is rushed to the nearest hospital but for an elective procedure, a particular hospital has to be finalized upon, which in itself is a very tedious task. Here is a list of few things every patient should consider before finalizing on a hospital and a surgeon. Cardiac surgery calls for expert hands that can deal with any kind of surprises and complications coming its way. Thus, select a cardiac surgeon with extensive experience in the type of heart surgery you need. It is a general fact that the hospitals that receive a huge number of patients have better patient outcomes. Thus, a decision on the surgeon the patient is going for must include the fact as to which hospital he or she is currently in. 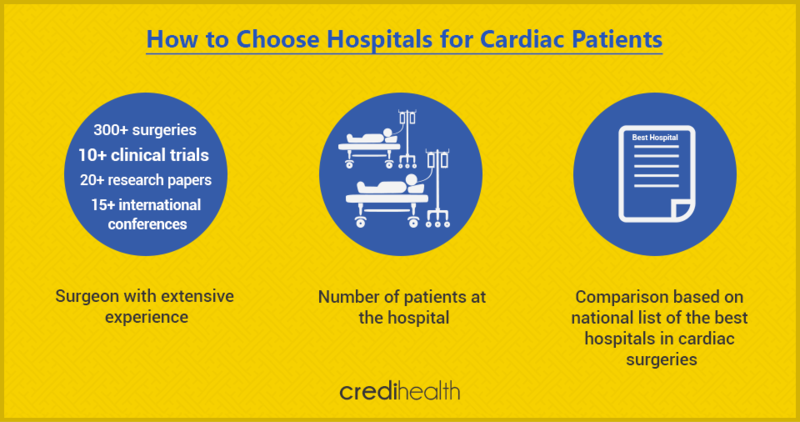 Keep the national list of the best hospitals in cardiac surgeries and doctors for the same handy. This will help you make comparisons and choose according to ratings and reviews of patients and families. Consider a surgeon’s affiliations with various hospitals apart from the one in which he or she works. This indicates the demand of the doctor and his or her overall expertise. Try to analyze the facilities of the hospital in terms of nursing and overall care. 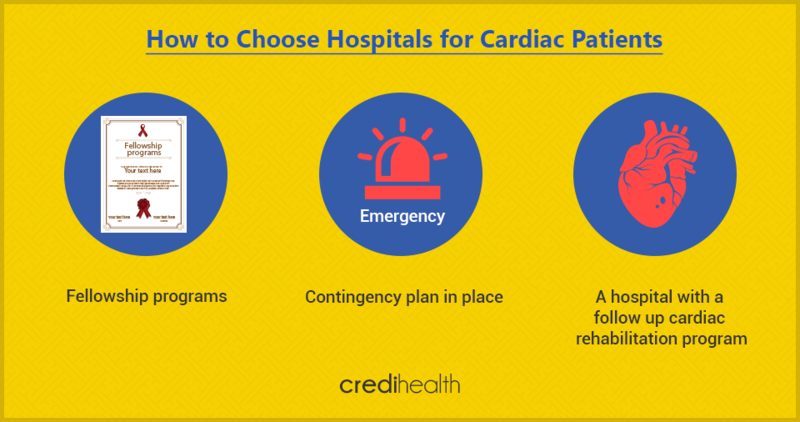 This will help you choose a particular cardiac program, based on your personal preference and needs. Seek out surgeons who are in level with the latest treatment techniques. This way you will be awarded with the safest techniques, such as minimally invasive and robot-assisted heart surgeries. Looking for fellowship programs in cardiology help getting treatment from the nation-wide famous doctors who train fellows in the latest technologies. Though a hospital who is an expert in treating heart diseases should be preferred, make sure that the hospital is equipped with experts to provide care in case of any contingency that arises during the procedure. Try to pick up a hospital with a follow-up cardiac rehabilitation program. Even though one can always go for programs outside the hospital, it is better to start treatment at the same place where the follow-up and post-op recovery will take place. In case of new and complicated cases, look for hospitals with cardiac research and clinical trial programs. These hospitals have access to new options and medications which are not available elsewhere. Refer to friends and families and seek out people you trust. Much of the information comes from mining web pages of medical assist consultancies like Credihealth and surveying hospitals. The medical assist companies have come up with user-friendly databases to help consumers comparison-shop for care. They guide the patient through the process of choosing a doctor to booking an appointment and walking the patient through the whole process . They also provide with cost estimates and complete health plans.